For a quote on installing a new sprinkler on your residential or commercial property, please use the form below to send us your information. We will call you as soon as possible to setup an appointment to survey your property. If you would like to contact us directly, please call 908-241-8198. 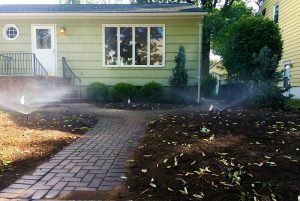 We encourage you to check out our Frequently Asked Questions page, as it may answer some important questions you have regarding your new underground lawn sprinkler installation.